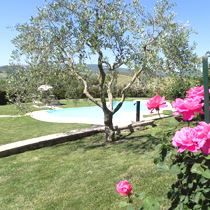 Agriturismo Il Girasole is a typical farmhouse in Tuscany, bathed by the green hills of San Gimignano and surrounded by the Tarantino's Family ancients vineyards and olive groves from three generations. The farmhouse, managed by the family, and the surroundings are completely available for our guests. The two apartments are spacious, very well renovated with special attention for the furnishings; composed by kitchen and master bedroom with bathroom. 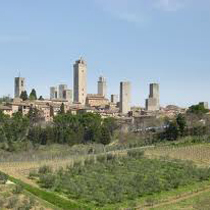 Moreover... the rarity of panoramic master bedroom, always with bathroom, overlooking the enchanting medieval city of San Gimignano. 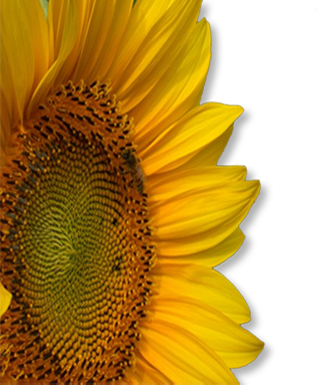 Agriturismo il Girasole marry simplicity and comfort, beauty and serenity. The best of anyone is looking for poetry and wellness but at the same time elegance, relax and warm-heartedness. 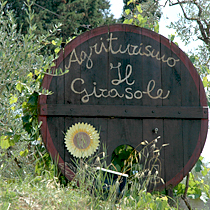 We produce the most famous local wines as Vernaccia di San Gimignano, Chianti dei Colli Senesi and also extra-vergine olive oil, eggs, fruit and vegetables in order to enrich the traditional tuscan meals and tastings of typical products on request at the "Il Girasole" farmhouse in San Gimignano.